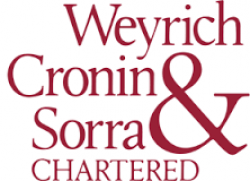 In 1979, Weyrich, Cronin & Sorra was founded under the leadership of Carroll Weyrich, William Cronin, and Manny Sorra. At that time, their goal was to establish an accounting practice built around proactive client service delivered through “close personal attention.” Over three decades later, the tradition of excellent client service continues. Today, WC&S employs 56 people in its four offices in Lutherville, Bel Air and Elkton, Maryland. Over the years, the firm has expanded its range of services beyond the traditional tax, accounting and consulting services to include niche groups that specialize in forensic and investigative accounting, valuations, litigation support, non-profit organizations, construction & real-estate, governmental/municipal audits, employee benefit plan audits, and dental practices. While the firm has grown and changed, the mission of providing the highest quality business consulting, tax and accounting services, delivered with Close Personal Attention, remains the same as it was over 35 years ago.